I make these Gluten & Dairy Free Dinner Rolls (Plain, Garlic & Rosemary, or Onion) for every holiday gathering and they are always a hit! 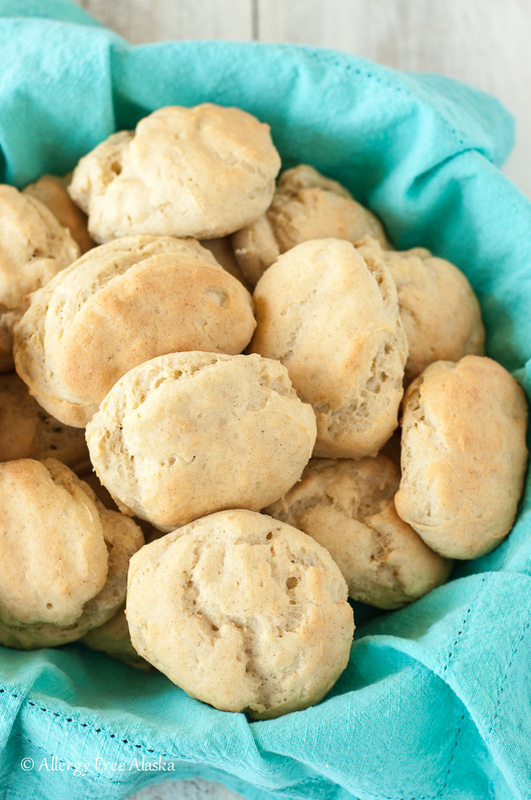 They are soft and fluffy, and are the perfect vessel for those post-holiday leftovers (bring on the ham and turkey sandwiches!). The hardest part about making these rolls is choosing the flavor: plain, garlic & rosemary, or onion. The smell of freshly baking rolls is wafting through the house. Who can resist that delectable smell? 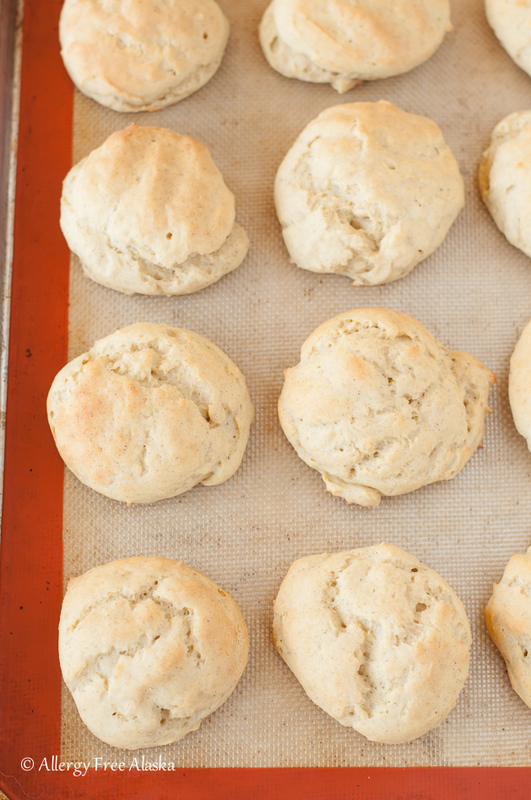 Warm rolls… fluffy rolls… the kind of rolls that are a little bit of soft heaven when you take a bite. I’ve been searching for these rolls ever since I went gluten free. Searching, recipe testing, and finally… my searching and recipe testing is complete. 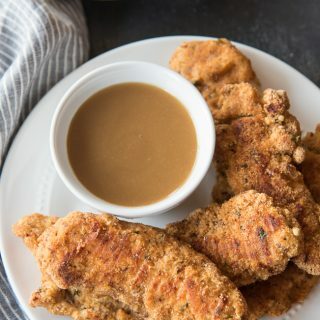 The kind of perfection that sops up turkey gravy and those leftover bits of turkey and sweet potato and stuffing from your Thanksgiving Day plate. I’ve never looked forward to turkey leftovers as much as I am now, because these rolls mean amazing post-Thanksgiving turkey sandwiches. The hardest part about making these rolls is choosing the flavor: plain, garlic & rosemary, or onion. I love all 3, but I have to say I love the onion flavor best. They reminds me of onion bagels (just in flavor, not texture). I used a whole cup of water in my dough, but temperature, altitude, and humidity all affect yeast dough. Start with 3/4 cup of water, and then work your way up tablespoon by tablespoon of additional hot water until the dough is the correct consistency. They don’t have to be perfect. Inconsistencies in shape add character to your rolls! 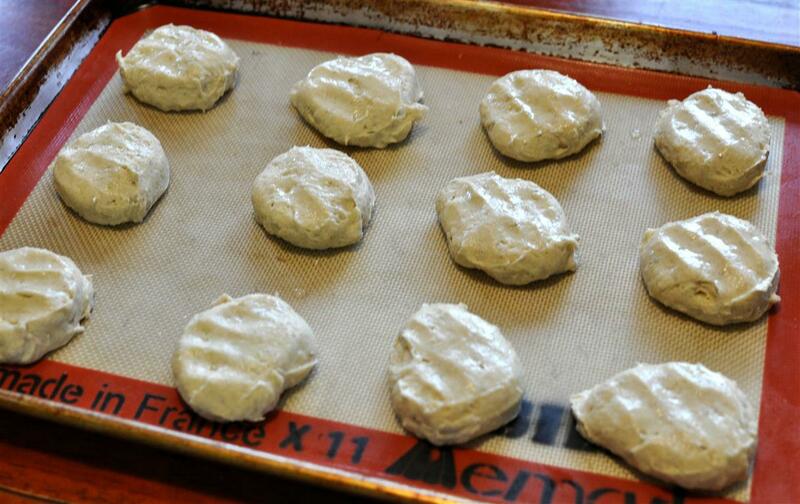 Allow the rolls rise for about 30 minutes, and then pop them in the oven (middle rack) to bake. I wonder if you’ll even be able to wait until dinner to taste one?! In a small mixing bowl, combine the honey and 3/4 cup hot water. Sprinkle in the yeast and give it a quick stir to combine. Allow to proof for 7 minutes (set a timer!) – NO more, NO less time. Make sure to have the other wet and dry ingredients mixed and ready to go when the 7 minutes are up! 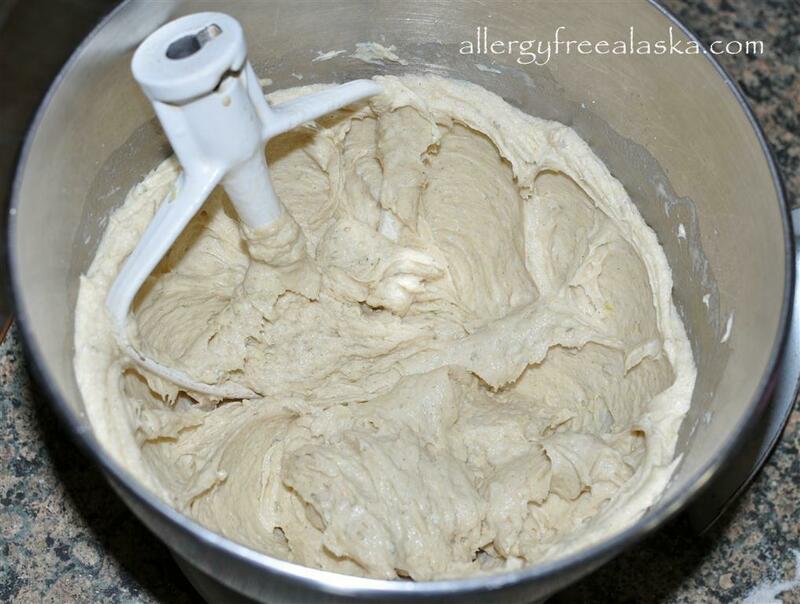 Using a heavy duty mixer with a paddle attachment, combine the dry ingredients. If you are making either the garlic & rosemary or onion flavors, make sure to include the dried rosemary and garlic, or the onion powder and dehydrated onion. In a separate mixing bowl, whisk together the eggs, oil, and vinegar. When the yeast is done proofing, add the wet ingredients to the dry. Stir until it’s a little paste-like and then slowly add the yeast mixture. Using the mixer’s low speed setting, mix for about 30 seconds. Scrape the sides of the bowl and then mix on medium 2-3 minutes or until the dough is smooth (you may need to scrape the sides of the bowl a few more times). Add up to 1/4 cup of additional water to get the dough to the necessary consistency (as pictured and explained above), but start by adding 1 tablespoon at a time. 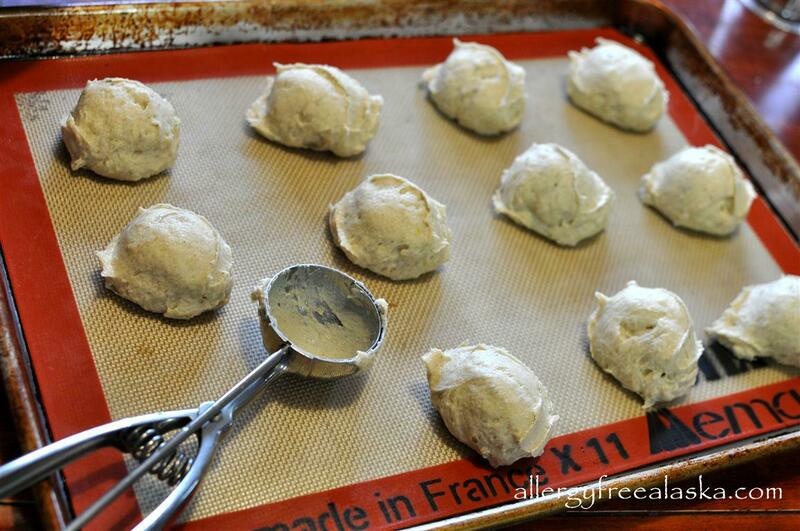 Drop the dough using an ice cream scoop onto a parchment or silicone lined cookie sheet. There is just enough dough for 12 rolls, so divide the dough up equally between the 12. Wet your fingers and use them to shape the dough into circles or fix the imperfections (they don’t have to be perfect). Flatten each ball of dough so that it’s approximately 3/4 -1 inch thick (keep wetting your fingers as you go along so that the dough does not stick to them). Allow the rolls to rise in a warm spot for approximately 20 minutes. Preheat the oven to 375 degrees (F). When the oven is fully preheated, bake the rolls for approximately 17 – 19 minutes (so they have a rising time of about 30 minutes total before placed in the oven to bake). They will be nice and golden brown when finished baking. Remove the rolls from pan and allow them to cool on a wire rack. Cool for at least 15 - 20 minutes before serving. These look lovely, thank you! You are so welcome, Kirstie!! Megan, these rolls look stunning. Exactly what I need for e upcoming holiday season! Can’t wait to give them a whirl and play around with different flavor options. Thank you! I can’t wait to hear how you like them! These look like the dinner rolls I used to gobble up every Thanksgiving growing up. I can’t wait to make these when I am all settled in my new kitchen in a few weeks. Seriously Megan, these look scrumptious! Perfect with ghee or butter right on top! Thank you, Laura! That is exactly what I was trying to re-create – the rolls of our childhood! 🙂 I hope your packing and moving is going smoothly. I’ve been thinking of you! Thanks a lot for the recipe, I’ll definitely try this out tomorrow. What can I use to replace sorghum flour? More brown rice flour? Yes, you can use brown rice flour to replace the sorghum flour, but make sure you at least use 2 different flours (like brown rice and millet). I don’t recommend using straight brown rice flour. I think I’d have to vote for the garlic & rosemary. I hope I get time to make these before Thanksgiving!! Thanks for the recipe! These look lovely! I’m stopping by from a link party . . . not sure which one actually ;). I just made these for my son who has to be casein free and I have to say they tasted great. Thank you for the recipe. Do you know if these can be frozen? You are so welcome! 🙂 I’m glad you enjoyed them! I have not yet tried to freeze these rolls; however, I think they would freeze okay. I’m actually going to make a triple batch of these before Thanksgiving and freeze them, so I’ll be able to test it and report back. We loved them. How did the freezing experiment go? We will be traveling for Thanksgiving, but I still need to bring the bread. Has anyone tried to make these pull-apart? 😉 So glad you enjoyed them! And I normally double or triple the batch and then freeze them (for holidays). They freeze and thaw beautifully – I let them thaw at room temp out on the counter. I have not tried making these as pull apart rolls, although I think they would do great made that way. These look wonderful! I love that they look so simple, too, without a ton of ingredients. You’re amazing when it comes to baked goods, really. These look so perfect. 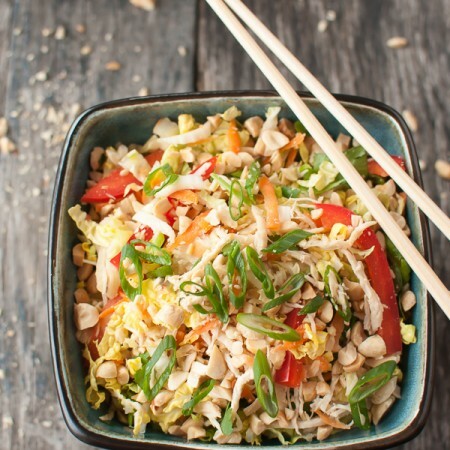 These really made an impression on AFW last week – this was the most viewed recipe! Well done. Hugs to you and hope you have a fabulous Thanksgiving. Thank you! I’m sorry I missed the linky party this week – I will try for next week! These were very, very good! Awesome taste and texture. Thank you for sharing a wonderful recipe. Also, as I was browsing your blog, I noticed that you referenced Psalm 73:26 in one of your blog entries. It was such a blessing and excellent reminder to me today–I too suffer from autoimmune disease. Thanks for your boldness and resolve to trust in the Lord. PS – I’m very glad you enjoyed the rolls! These are fantastic!! I have made them egg-free using chia seeds and water and they still turned out great. For hamburger buns I put the dough into a muffin top pan,smoothed out the dough to fill the well, and it worked well. Thank you for the recipe. i wonder if i could use one of those? I have not personally tried either of those flours, but I’m sure they will work just fine. Hello Megan – I just wanted to say THANK YOU AGAIN SO MUCH for posting such successful recipes! 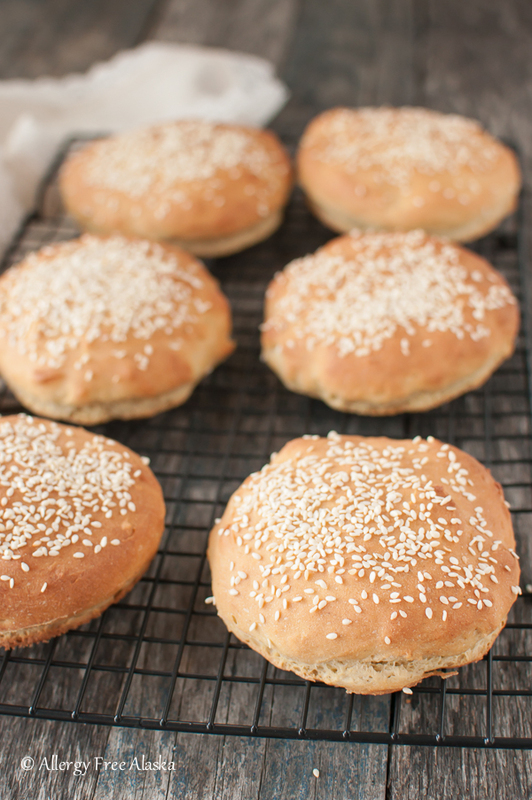 I made these buns for the first time on the weekend and they turned out so wonderful I could not believe – they had a texture like bread I remember…..that gooey gluten texture. So today I made the recipe again, but shaped into one focaccia loaf, brushed with olive oil and sprinkled with herbs and garlic and OH MY GOODNESS what a treat. if anyone is missing bread to dip into fancy oils and vinegars, this is the way to go, its amazing! Thank you again Megan, I love your recipes and love that I no longer have to settle for ‘OK’ GF options, your recipes are so easy I can make them any time with always successful results! Hi! I made these and my family loved them. I decided to try the dough as the crust for pizza and it worked fabulously! Thank you so much. Love this recipe! 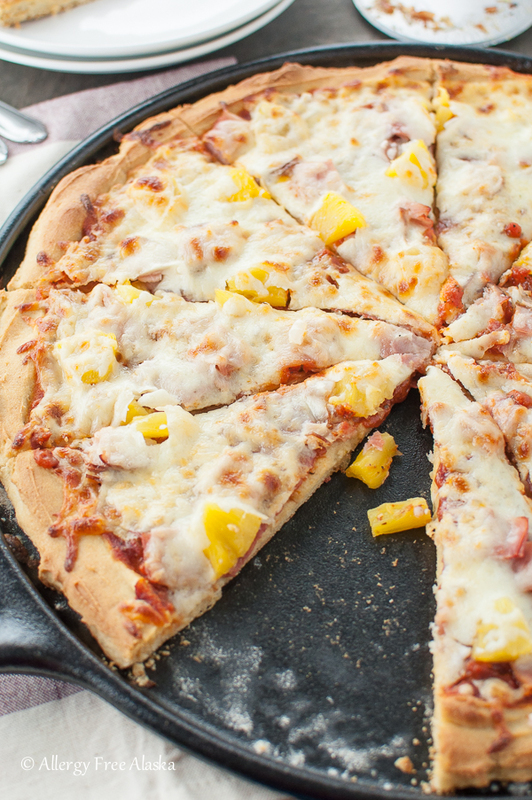 I’m so glad you enjoyed it – and thank you for sharing the info on the pizza crust! That’s wonderful! I live in Colorado where altitude can be a problem when baking. Is there any adjustments to be made with your reciepes. I’m so sorry for the delayed response – your comment was hidden and I just found it. I’ve never baked at a high altitude before, so I’m going to refer you to this post from King Arthur Flour. It’s the best baking/troubleshooting guide I’ve seen in regards to high altitude baking: http://www.kingarthurflour.com/recipe/high-altitude-baking.html. Good luck! Any suggestions for a good egg replacement for this recipe. I’ve use flax seeds in the past. Would that work for this? I think a flax slurry or egg re-placer would work, but please keep in mind I haven’t tried it myself. Others have used these substitutions in other bread recipes of mine (that are similar to this recipe) with success. That should work just fine, Maria. Just check to see if King Authur’s already has xanthan gum mixed into it! How do these rolls taste the next day? Do they dry out? Hi Liz! 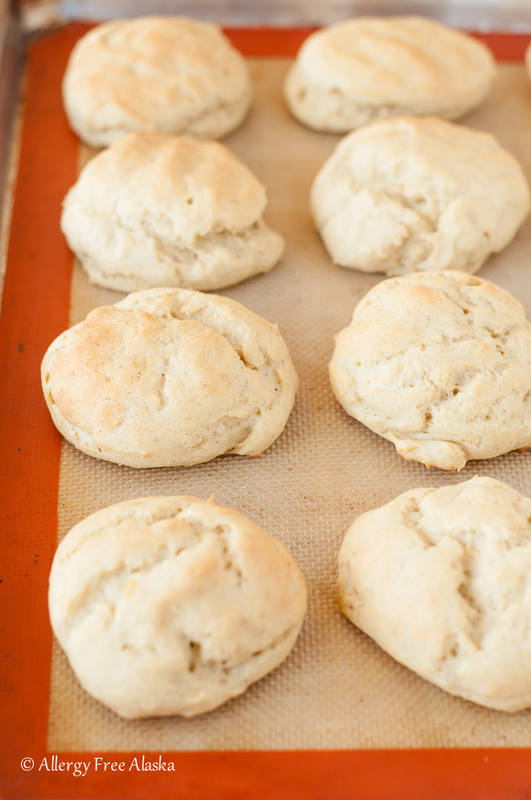 These are best the day of baking, but are still soft the next day. For Thanksgiving and Christmas I make a big batch of these ahead of time and freeze them. They freeze/thaw out really well! How exciting to find a dinner roll that looks like a roll. THANKS!!!! Thanks for the awesome recipe. It worked perfectly for me! I am very interested in making these and freezing them. Do you freeze them before they rise, after they rise, before baking or after they are completely baked? Thanks! I freeze them after they have completely baked and cooled. After thawing are they still soft or should they be heated to soften again? I’m not too educated about this stuff…..can you use quick rise yeast? It was bought by mistake! You don’t have to answer, I googled it and decided to go to store! Thanks! Can’t wait to try them! thank you, thank you! these are so yummy! I can’t tell you how happy I am to have a roll I can eat….I had a french dip last night I haven’t had that tasted good in 3 years! I made them plain and can’t wait to add the garlic! Thank You!!! Glad I found your site! Oh Connie… 😉 That makes me very happy! You’re so welcome – very glad you enjoyed them (and your French Dip)! These look deeelish! Do you think they would work with egg replacer? Or even with a flax or chia “egg”? I’m really not sure since I’ve never tried it before, but if you do try it, I’d be more inclined to recommend the egg replacer. Good luck! Would guar gum work instead of xanthan? Also is a yeast free version possible? These look great. Most recipes I found look like muffins. 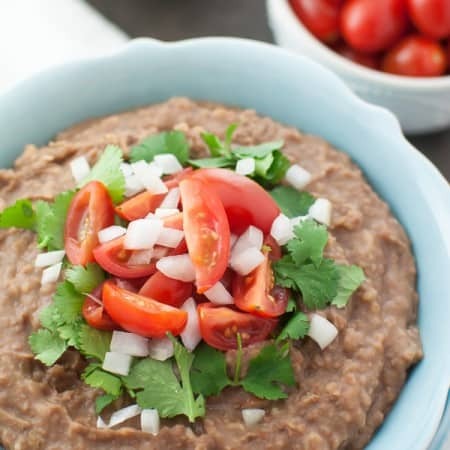 Yes, you can use guar gum, but I don’t recommend making this recipe without the yeast. Maybe try this recipe instead: Gluten-Free Yeast-Free Flat Bread. Can I freeze them (Uncooked of course)!? I was wondering if you have ever baked this recipe into a loaf with success? Hi Ingrid, not this specific recipe, but I modeled this recipe off of my Gluten Free Rice Free Multigrain Bread recipe. I’d imagine it would work okay as a loaf. FYI … I have several vegan friends .. they do not use any animal bi-products even … which means eggs, milk, cheese and honey. A gentle suggestion would be to mention vegans who use animal bi products. (I am not vegan so I will make this)!! The buns turned into flat discs. Was thinking the dough was too wet. Any helpful tips to avoid the flattening? Thanks so much! I’m so happy you enjoyed them, Rachel! Thanks! I’ve used this recipe a number of times, and I love it, but I was wondering if I can double it. Have you tried? Yes, I have doubled it! Works great – you just need to reduce the amount of yeast (don’t double that). 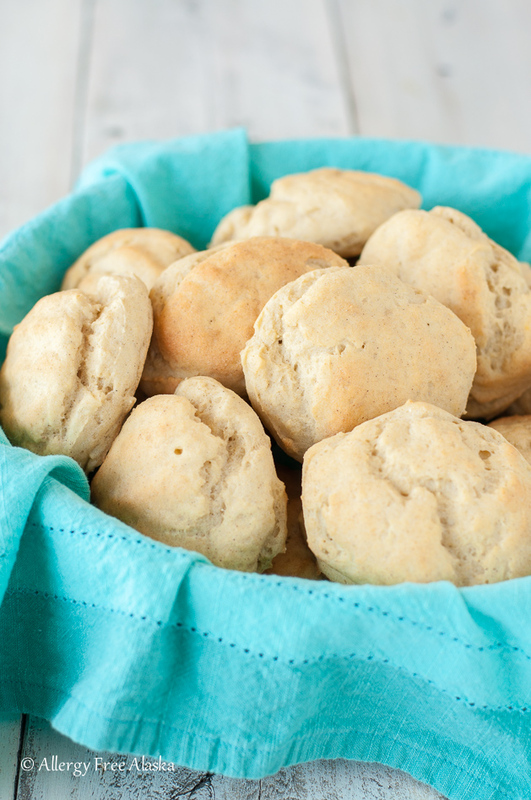 You might try 2.5 teaspoons – 1 tablespoon of yeast (total) for a double batch.